After my previous post concerning the SSL, PorteCle Generate KeyStore, self-signed certificate, tool PorteCle, concerning the generation of server’s KeyStore, self-signed certificate…, in this post, i would expose the case of a server SERVER1 which communicates with an other server securized SERVER2 (like Jboss, Tomcat,…), so, now, we are speaking about the TrustStore of server. 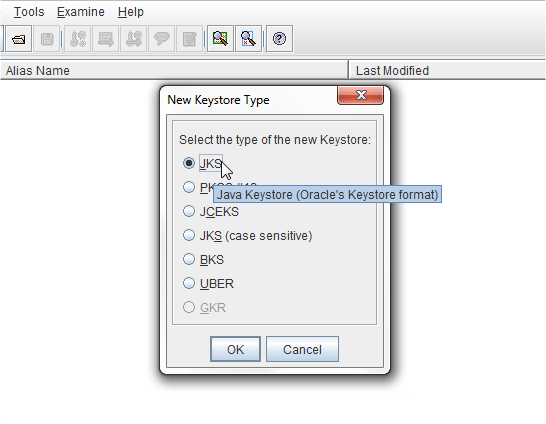 A keystore contains private keys, and the certificates with their corresponding public keys. 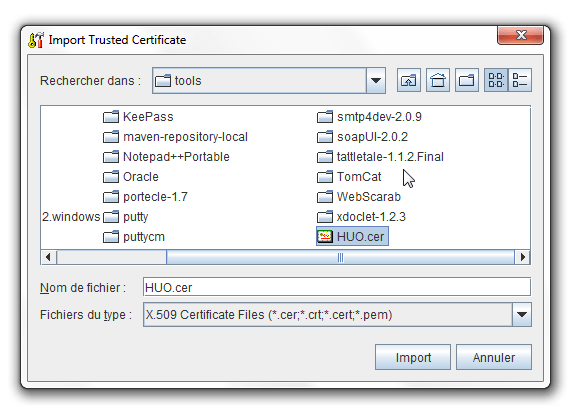 A truststore contains certificates from other parties that you expect to communicate with, or from Certificate Authorities that you trust to identify other parties. 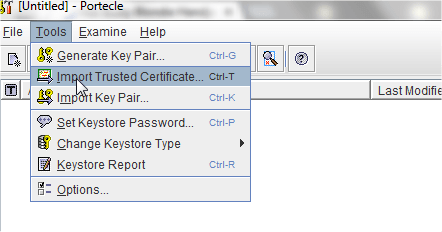 So it’s necessary to add the certificate of SERVER1 contained in its KeyStore, into the TrustStore of SERVER2.